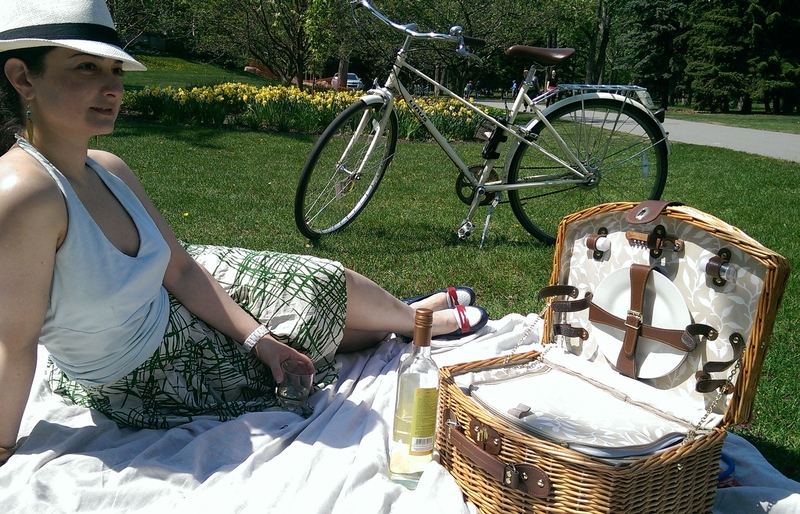 Join us for an afternoon bike picnic in style. Dress in your Sunday best light colors (preferably white), gather your friends together, organize your delicious picnic, and ride to an inner city park for the afternoon. We will meet at 12:30 at the Simmons Building in the East Village and ride together at 1:00 to the Central Memorial Park with all of our picnic essentials on board. We'll have live jazz music on the ride (yes, musicians will be playing while we are riding) as well as at the park to provide scene-appropriate soundtrack for the afternoon, and who knows, maybe even a dance or two! - Dress in your Sunday best white or white-ish clothes if you can, just as the name of the ride suggests! Or wear light colors; Or just wear something! 😉 but do come anyways! We'd love to see you regardless of what you wear! - Tasty eats; Alternately you can pickup food from Sidewalk Citizen in the Simmons Building in East Village, or at Boxwood Cafe in Central park (Advanced call is recommended). - Bags to collect your garbage. We want to leave the park the same way we arrived to it, if not cleaner! - Be prepared for possible rain, it is July after all!